Dr. Bisanga - BHR Clinic. Washington DC, Consultations 2-3rd January 2016. 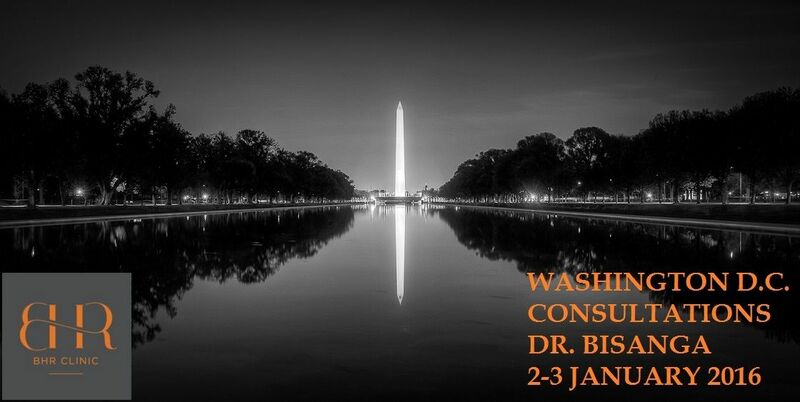 Doctor Bisanga will be in Washington D.C. to hold consultations on 2-3rd January, 2016. They are free of charge and without obligation and an opportunity to get donor density, laxity, design etc looked at or a check-up for previous patients. Please contact Daniel (erinshore@bhrclinic.com) for further information regarding this event and venue details.